The place is ideal for travellers with young children. Away from KL main traffic and near places like Ikea, Kidzania, 1 Utama, the Curve.... However, you will need to know Malay to converse with the helper. Important point to note, park at the lots indicated by the helper. These are the 2 resident lots allocated to the unit. We enjoyed the two-night stay. Host staff is very friendly and helpful. All big rooms and hall are with Aircond. 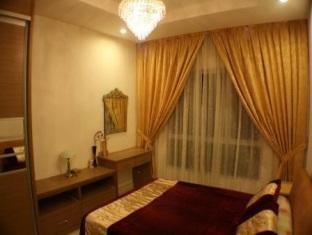 House was clean and the condo was convenient to various places around KL - 1 Utama, Curve, Ikea. Value for money. Overall, a warm hospitality and great accommodation for family vacation. Not clean with lot of dust, the spare of blanket not clean with smell and dust as believed long time not clean. Not provide towers and shower gels, at least need to state of note at agoda booking page. Bedroom door counterlocked, but owner not spare key in the house and suffered bad stay overnight. All pillow are too thin. Need to change to a better pillow. No blanket provided as we're travelling definitely we will not bring our blanket. Air conditioner too noisy. Thank you for the suggested improvement. the only good thing about this condo is having a strategic location. Inside the unit , you can see cockroaches are running around .The beds are very hard , the provided towels got smells that we rather use our own clothes as towel. And no soap provided . 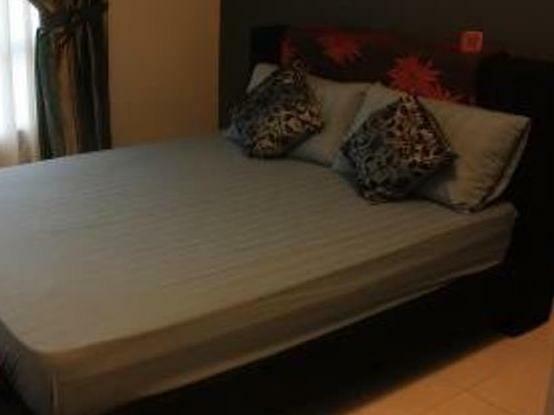 Perfect for relaxing yet enjoyable vacations, this is a cosy and modern service apartment with easy access to the city centre and Petaling Jaya. We stayed here with our kids and extended family. It was quite a nice place and good value for money. It was close to the shopping mall and a few restaurants. We would stay here again as it was a good stay. Value of money. Need to contact owner before getting key. overall it is good. near to IKEA Damansara. should provide some small bed for kid. Cleanliness, spacious room and comfortable stay. it is hard to find a taxi around this area. We had to walk to Empire Damansara to find a taxi (5 mins walk). it was a bit disappointing this time as a few things were found to be damaged and unfixed. this was our 2nd stay as the location was really great. hope for some improvements to be made by the owner.